American social psychologist Paul Piff has built a career on studying how wealth and privilege affects moral behaviour. Through a wide variety of methods -- including rigged Monopoly games and monitoring luxury car drivers -- Piff has produced an intriguing, though controversial, collection of evidence that wealth and status makes a person more likely to act badly. 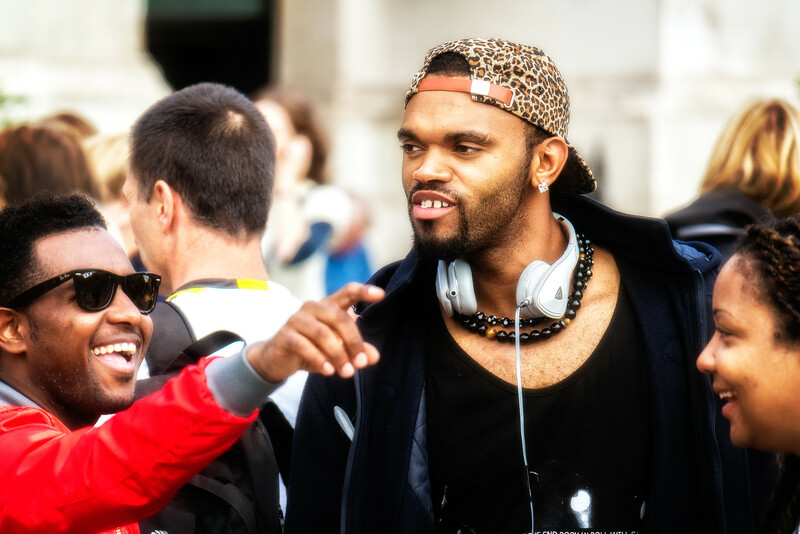 The rich act more selfishly, break more rules, feel more entitled, and display less empathy and compassion, according to Piff and his colleague’s findings. Most of his research has occurred near his place of employment, the University of California, Berkeley, but Piff may want to consider conducting his next experiment in Laos’ Golden Triangle Special Economic Zone. 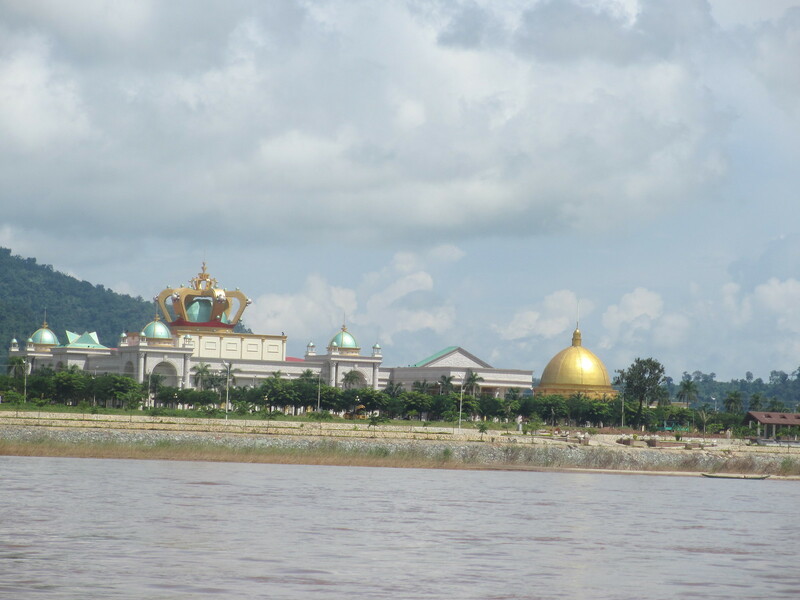 Lying on the banks of the Mekong River, the Golden Triangle Special Economic Zone is a large resort city catering especially to Chinese tourists and run by the Hong Kong-based Kings Romans Group. 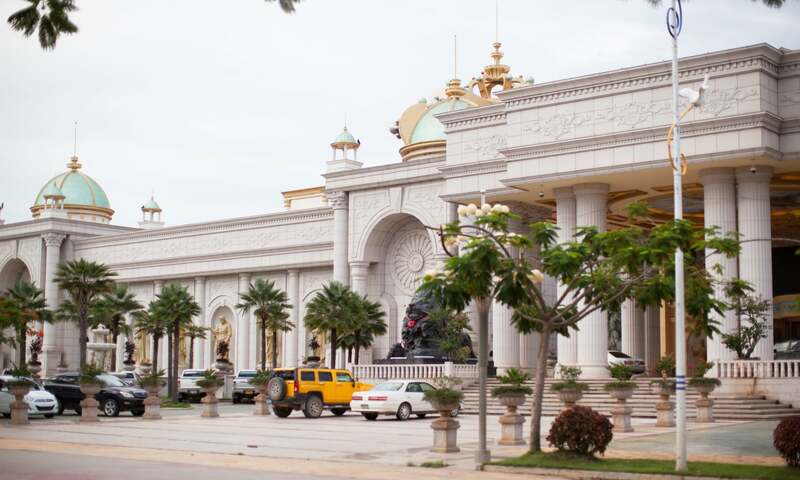 The luxury casino provides the main draw, as gambling is illegal in China; but the resort also includes a shooting range, more than 70 shops and restaurants, gardens, spas, and a bustling trade in endangered species’ parts, at least according to a new report by the Environment Investigation Agency (EIA) titled Sin City. 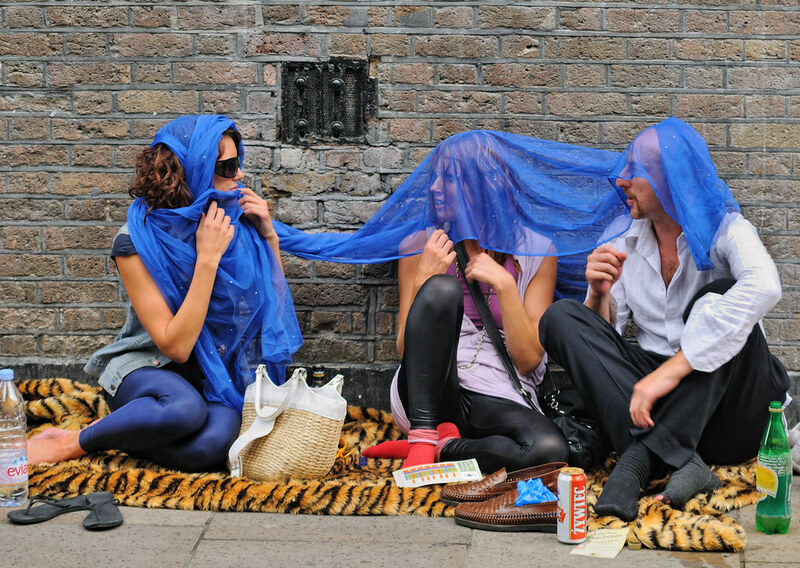 The report calls the zone a “lawless playground” with “not even a pretence of enforcement”. Indeed, even in a region of the world where wildlife trafficking is rampant and consumption of endangered species common, the report’s findings are shocking. 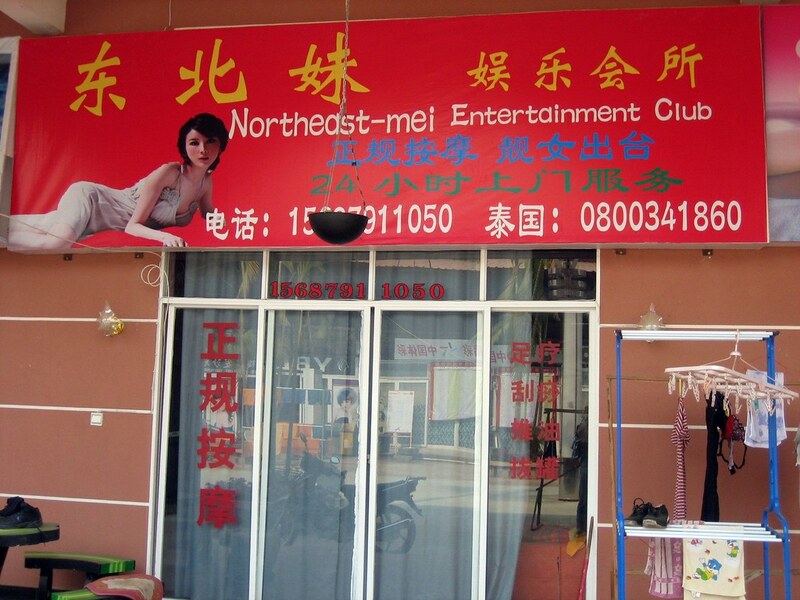 At the God of Fortune restaurant, for example, undercover investigators viewed a live, caged bear cub and python -– both of which were “available to eat on request,” according to the report. 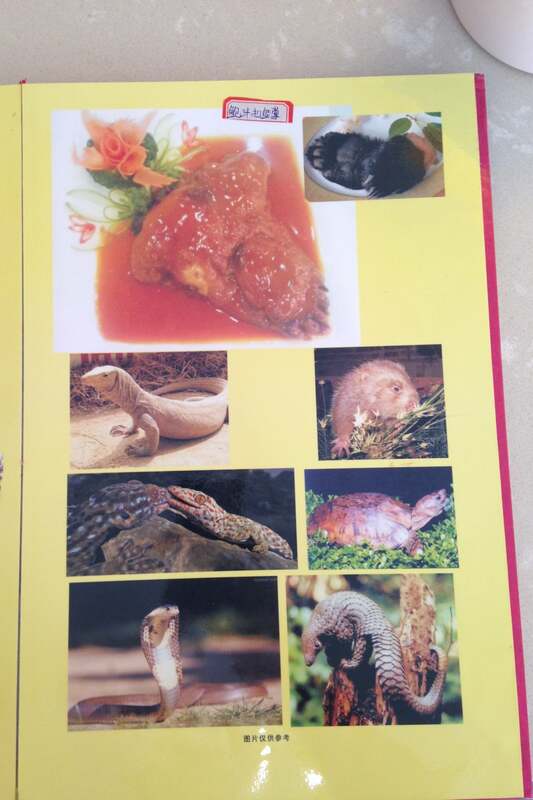 The menu also openly included such fare as bear paw, monitor lizards, pangolins, geckos, and a variety of snakes and turtles. And one could wash all that down with a jar of purported tiger bone wine. At another restaurant, Fantasy Garrett, one can order something dubbed “sauté tiger meat”. The restaurant also displayed a large aquarium, but not filled with fish. 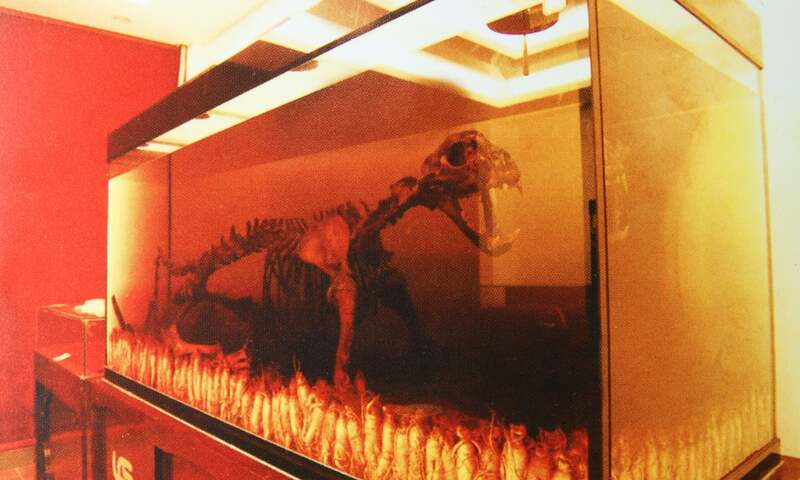 Inside, was a fully mounted tiger skeleton with a sign advertising the restaurant’s tiger wine, where crushed tiger bones are added or steeped in rice wine. 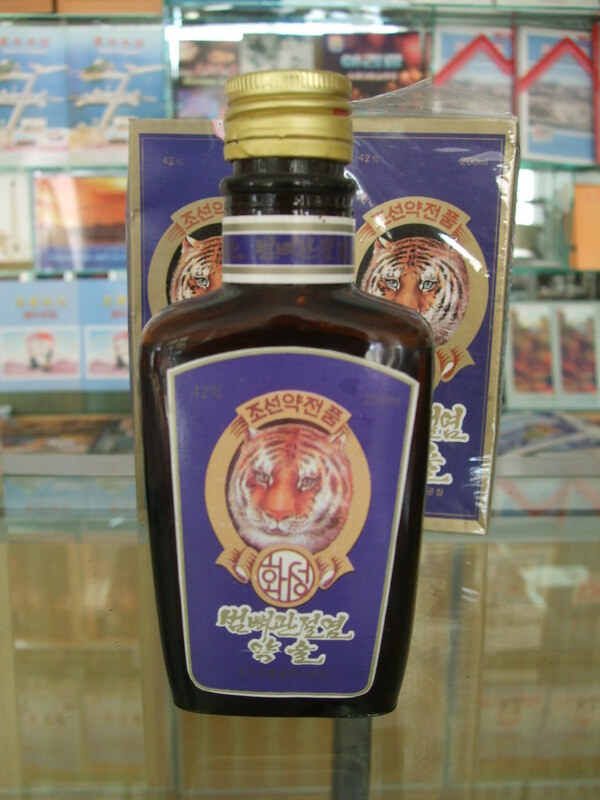 One could be sceptical, as tiger wine is sometimes faked. 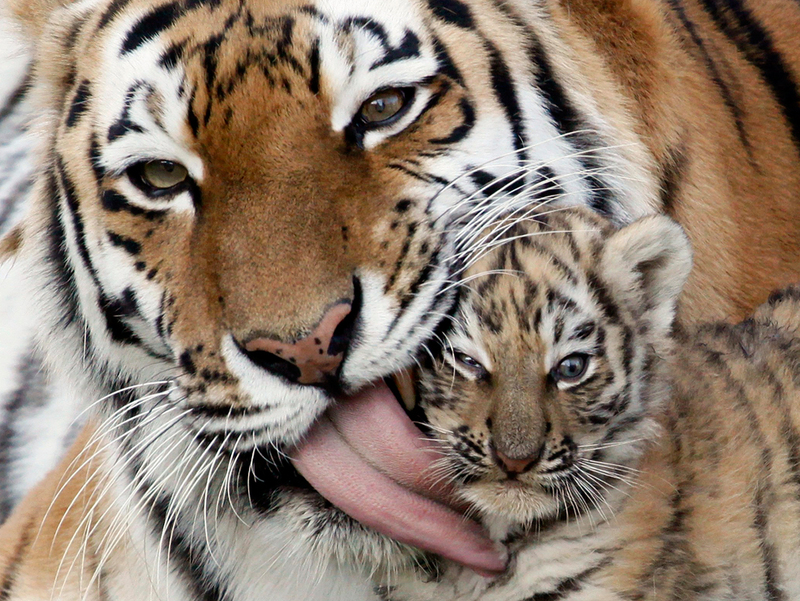 But the Golden Triangle Special Economic Zone actually has the tigers to back up their claims of being able to consume and drink the great cats. 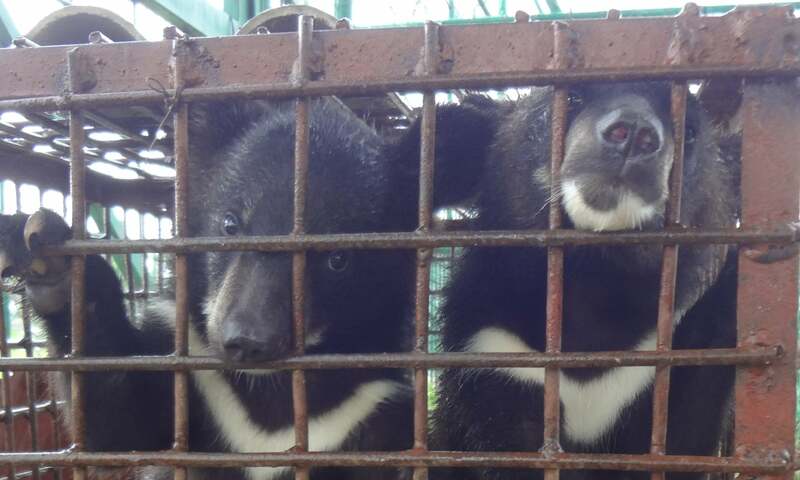 Undercover investigators with the EIA and the Education for Nature Vietnam (ENV), visited a tiger and bear farm inside the zone housing a total of 38 Asiatic bears -– for eating –- and 35 tigers. 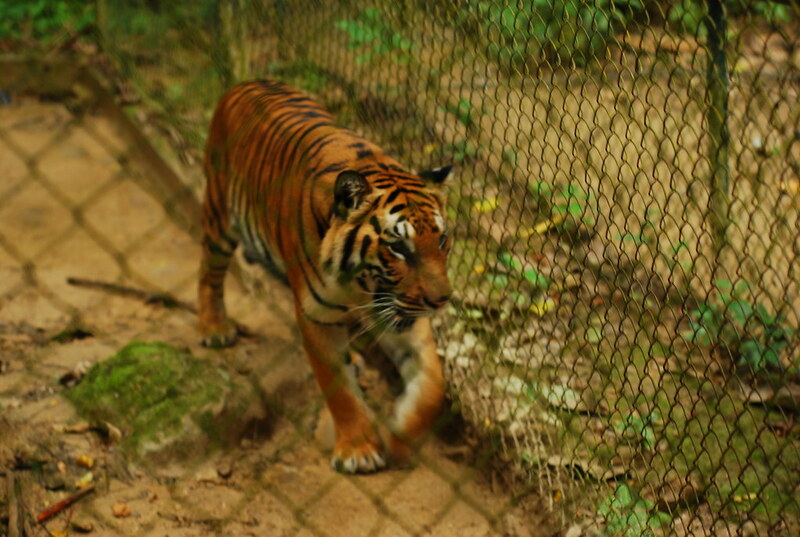 In the case of the tigers, this captive population -– destined to be killed, defleshed, and mixed with rice wine -– represents a larger population than all of Laos’ wild tigers. The country is thought to be home to only a single population, no larger than 20 mature individuals. 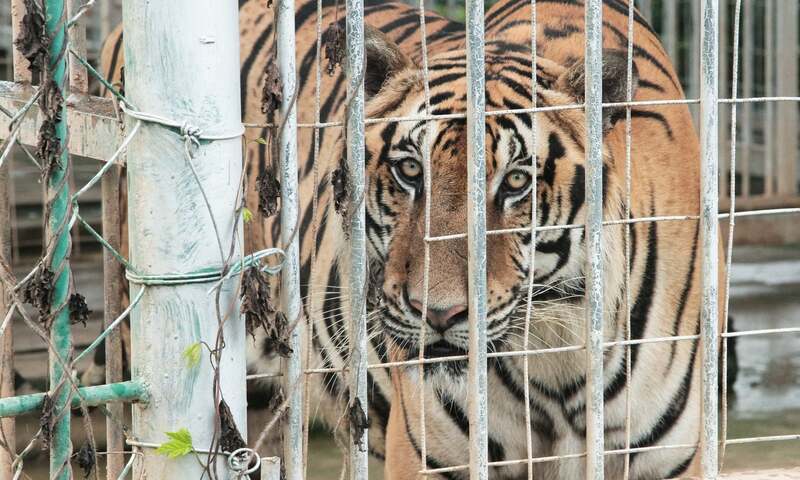 The tiger-bear farm also plans to significantly expand operations. 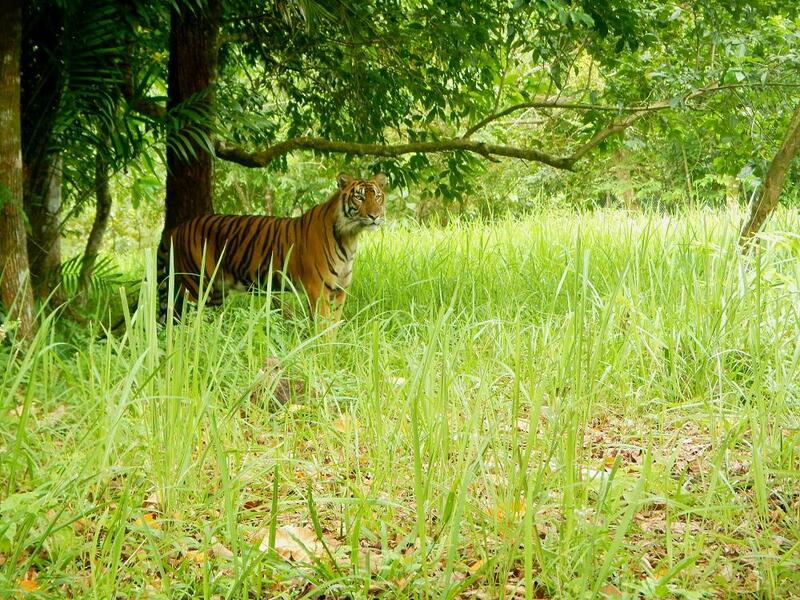 “The keeper told investigators the plan is to acquire a total of 50 [female tigers] for breeding, with the aim of producing 500 tigers within three years and up to 1,000 tigers in the long term,” reads the report. 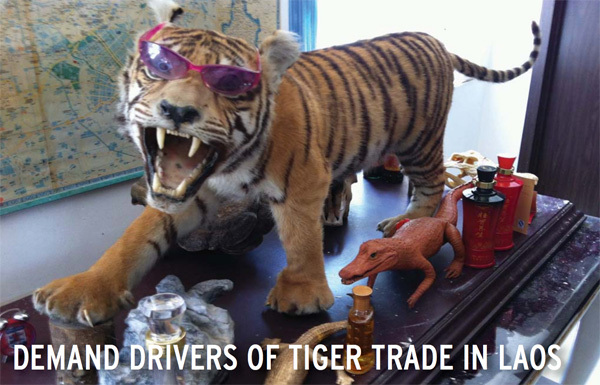 Across the zone’s shops, investigators found stuffed tigers and tiger skins, rhino horn shavings, beads and carvings from the helmeted hornbill, and a single leopard skin. 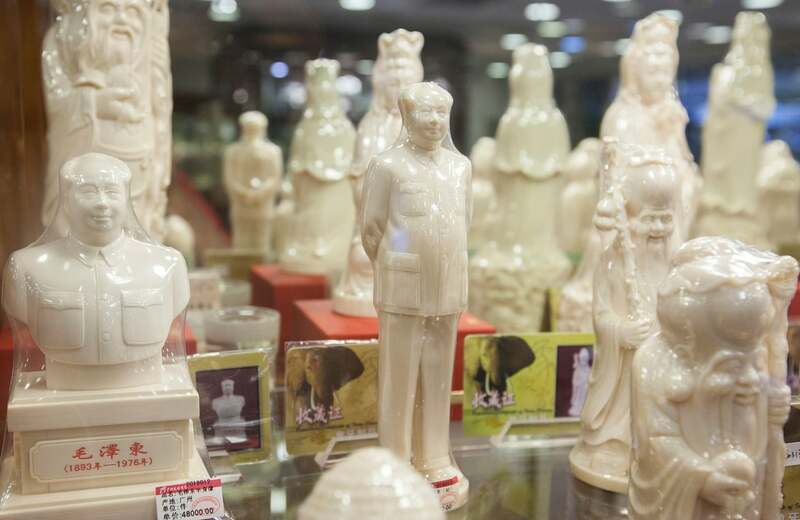 Even the casino brandishes wildlife products, namely ivory. Investigators found “carved whole tusks, bangles, beaded bracelets, pendants and other trinkets” openly-displayed where gamblers hoped for luck. 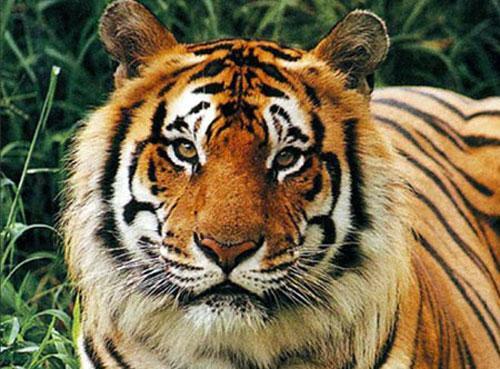 Echoing Piff’s research, Debbie Banks, the Head of the EIA’s Tiger Campaign, said “wealth and status are definitely the drivers of demand”. 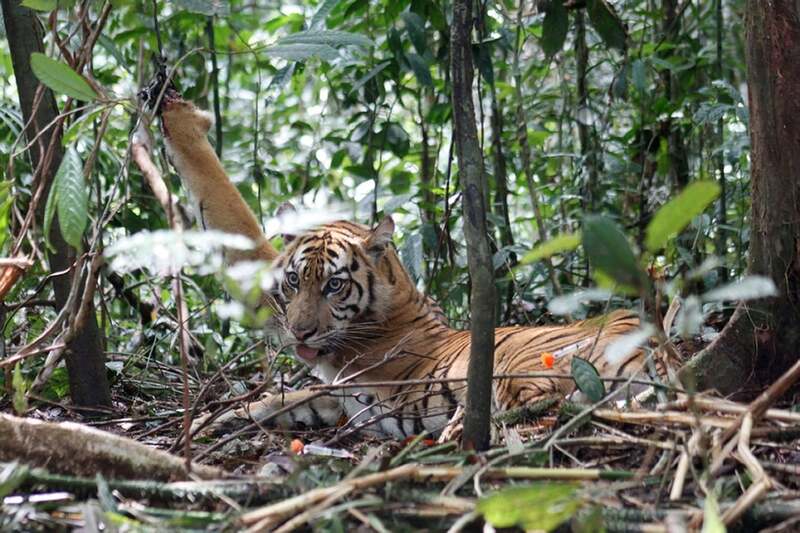 Experts are increasingly calling attention to the role of status in the illegal wildlife trade in this part of the world. 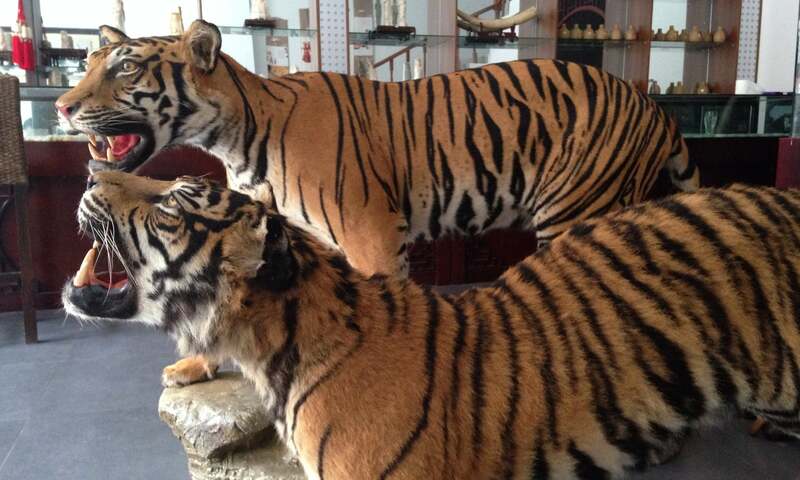 As China -- and much of East Asia -- has experienced a runaway economic boom, snorting powdered rhino horn, displaying tiger skins, or purchasing ivory has become a way to flex one’s power and wealth. 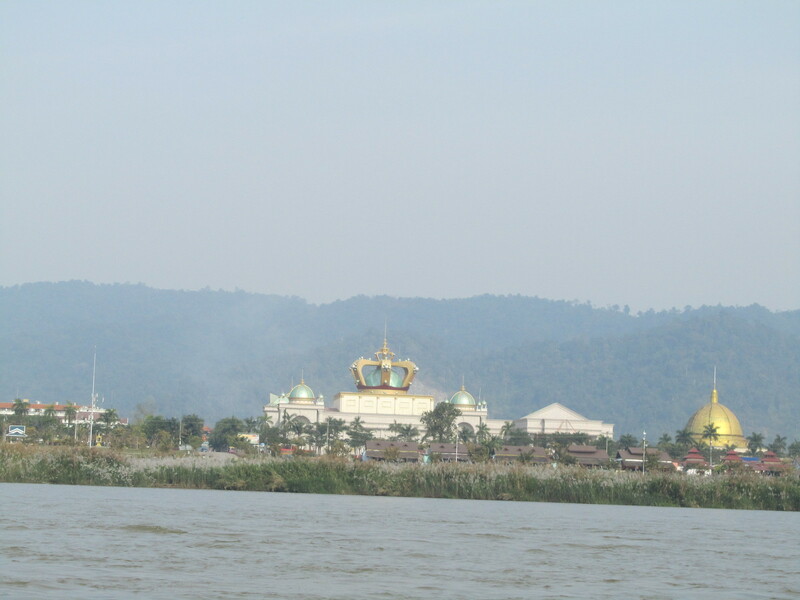 The Golden Triangle is a region in Southeast Asia criss-crossing three countries (Laos, Burma, and Thailand) and known for its massive opium and heroin production with a number of feuding drug lords to go with it. But the region has also become a tourist draw. To take advantage of the region’s growing popularity, in 2007 Kings Romans Group entered into a 99-year lease for 10,000 hectares in the region. 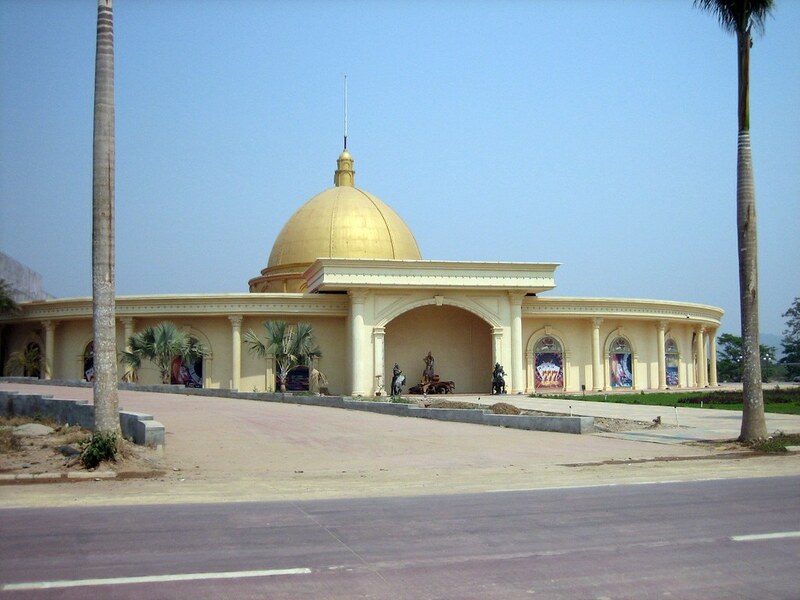 The company was granted 3,000 of these hectares as a duty-free zone, dubbed the Golden Triangle Special Economic Zone. “The stated aim of the agreement is to attract foreign investment in trade and tourism to drive local economic growth and alleviate poverty,” reads the EIA report. 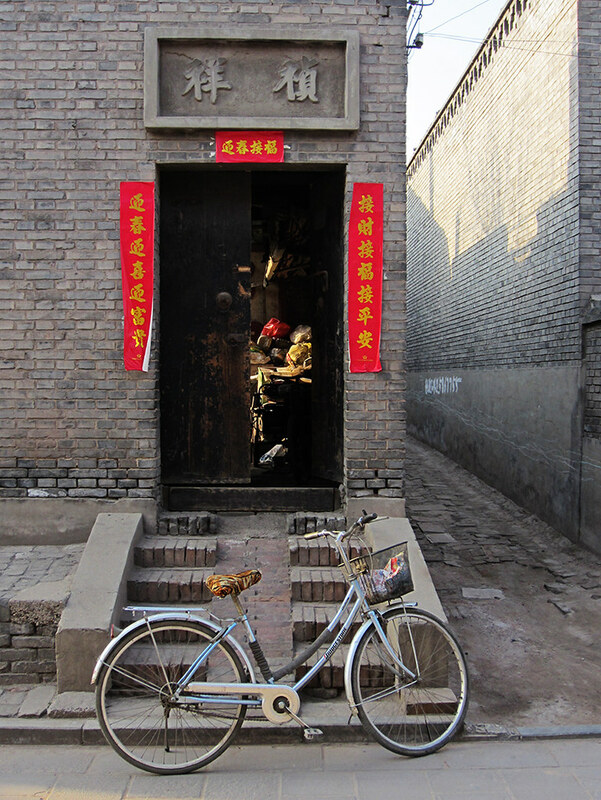 Just a two-hour drive from China, tourists don’t have to feel like they’ve left home. Signs are in Mandarin, yuan is the main currency, and most workers are Chinese, according to the EIA. 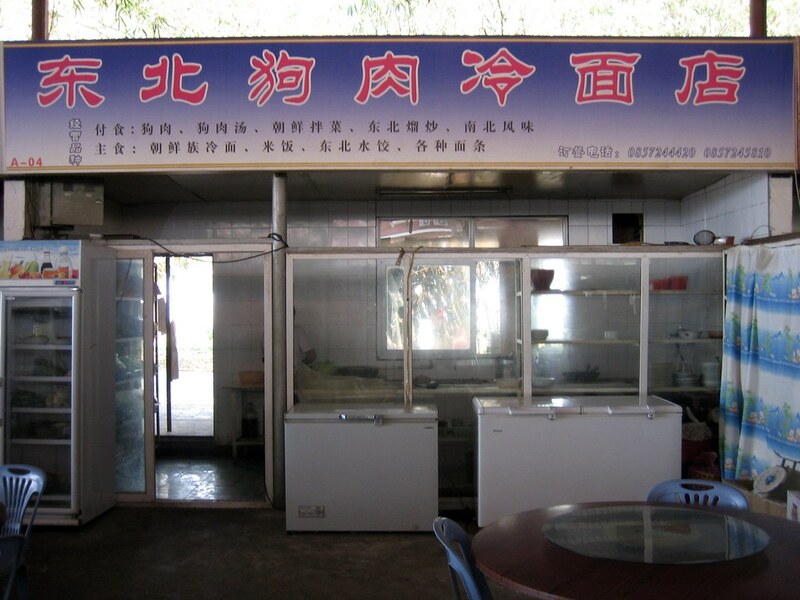 The place even runs on Beijing time. 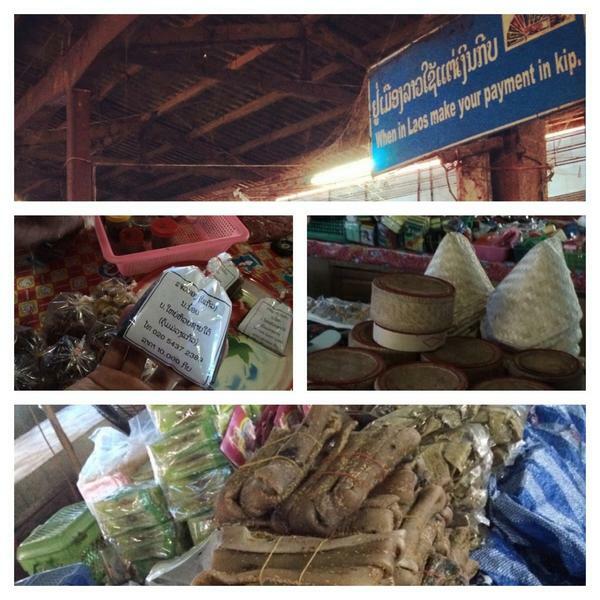 The tax-free zone has also enjoyed political patronage from Laos. Both the president and prime minister of Laos have visited along with the local governor. “The Chinese businesses and consumers are exploiting weak enforcement in Laos, but the Laos government can’t pretend they are ignorant of what is going on,” said Banks. 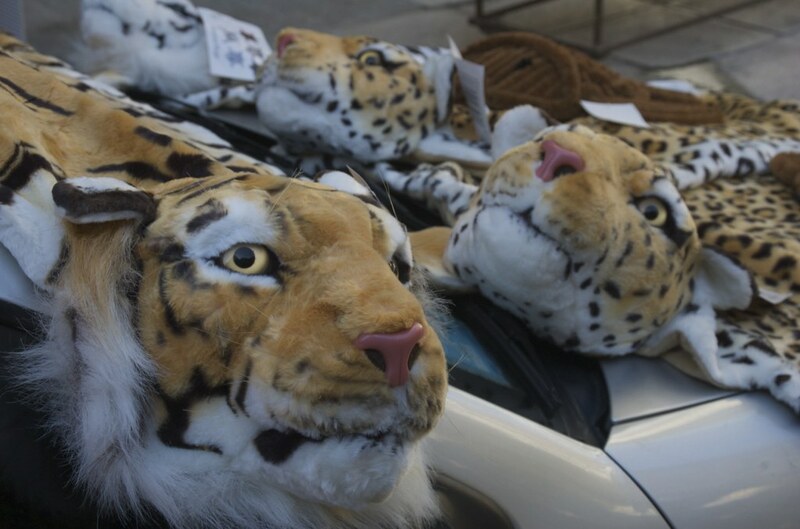 And the EIA report that one of the major reasons why this border town has become a wildlife trafficking haven is Laos’ lax laws -– and little enforcement even for what is on the books. 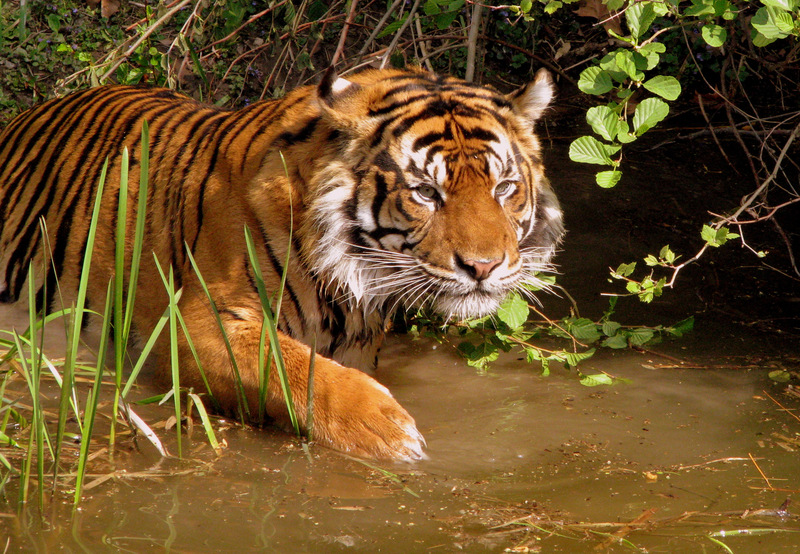 Laos’ 2007 Wildlife and Aquatic Law prohibits the use of some animals, such as tigers, elephants, rhinos, and bears. However, there is a loophole: one can use these animals so long as it has government permission. 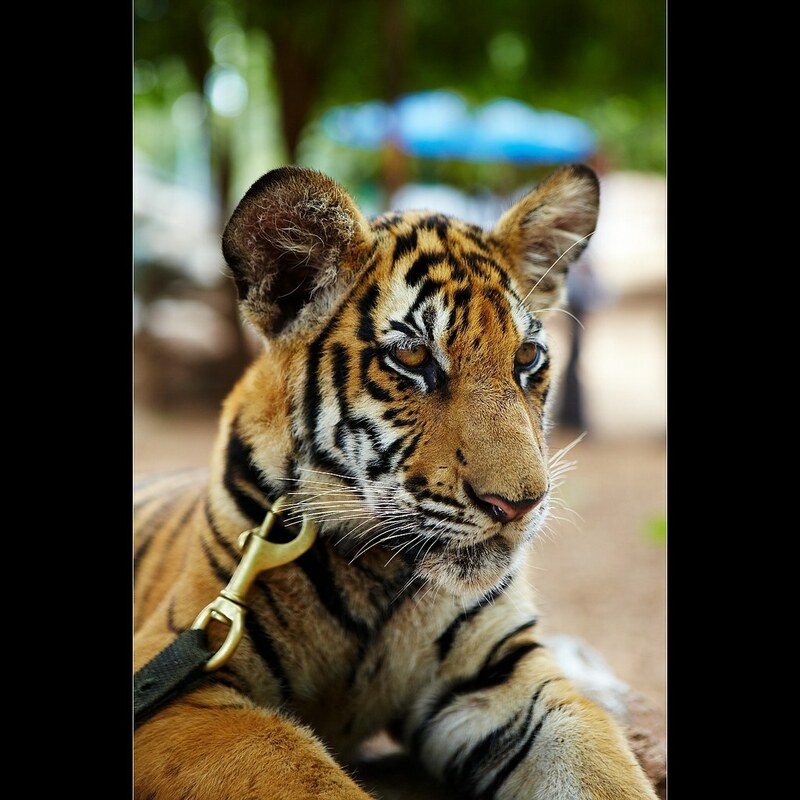 Furthermore, captive bred animals can be traded so long as they are at least second generation. But this requires registration with Laos’ government, something that the undercover investigators found was lacking in some of the zone. 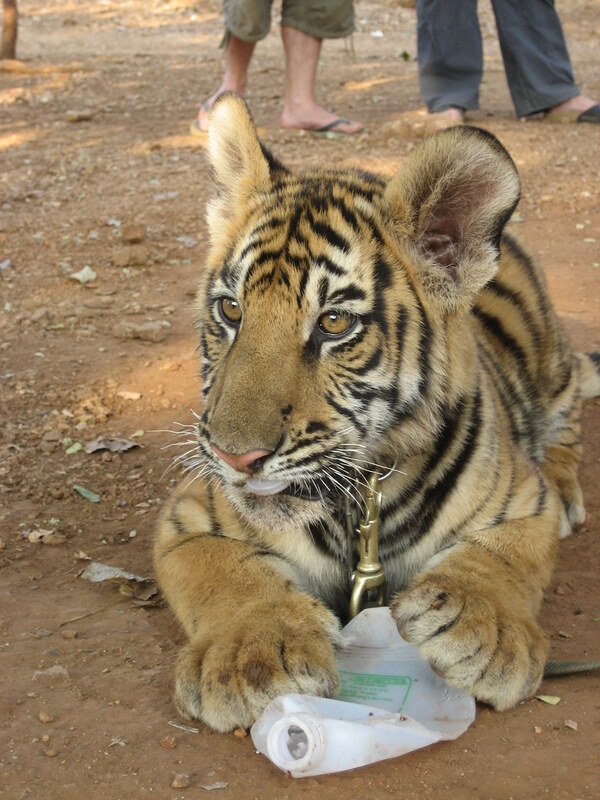 The 2007 wildlife law, though, also bars government employees from either running a wildlife business or taking a share from one. 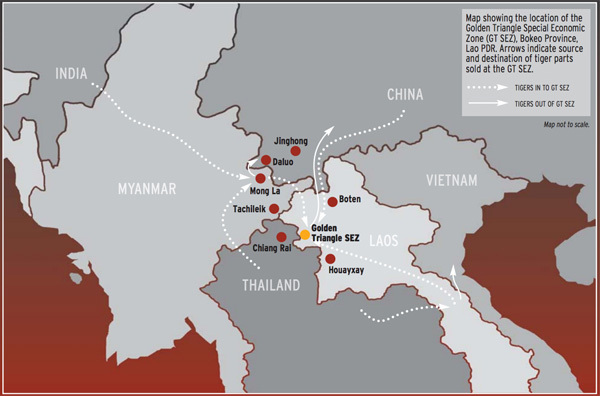 This could be problematic, given that the government of Laos is also said to have a 20% financial stake in the Golden Triangle Special Economic Zone, further entangling domestic politicians with the resort. But Laos has international obligations as well. 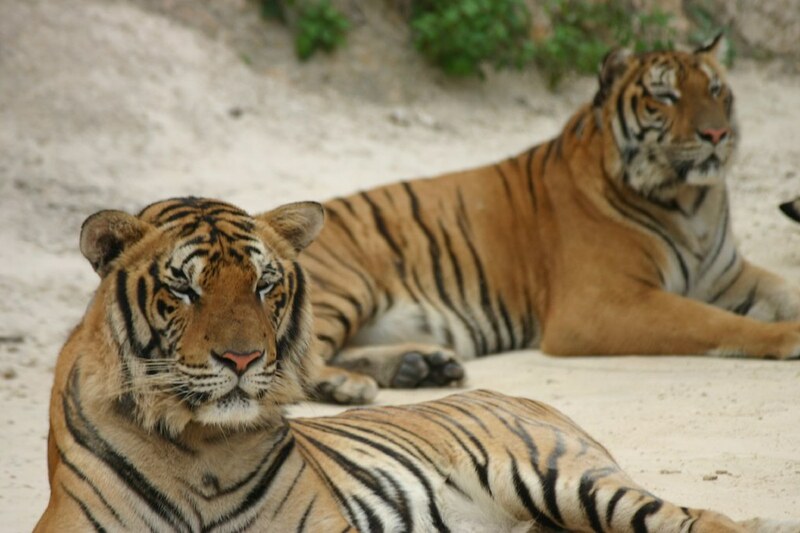 The country has been a signatory of Cites since 2004, making it illegal to export or import wild specimens (or their parts) of many of the species found in the Golden Triangle Special Economic Zone. 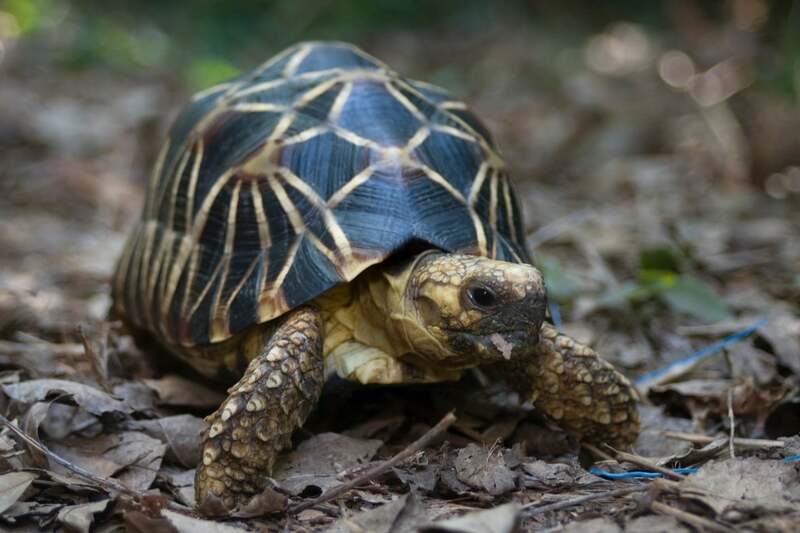 Most of the wildlife for sale at the [Golden Triangle Special Economic Zone] has been obtained in contravention of Cites,” argues the EIA report. But no one is expecting a crackdown anytime soon. “The track record of investigators and prosecutors elsewhere in the country to date suggests that is unlikely at the best of times, and would be a real challenge given the [political] connection,” noted Banks. But Laos is not the only country on the hook, according to the report. 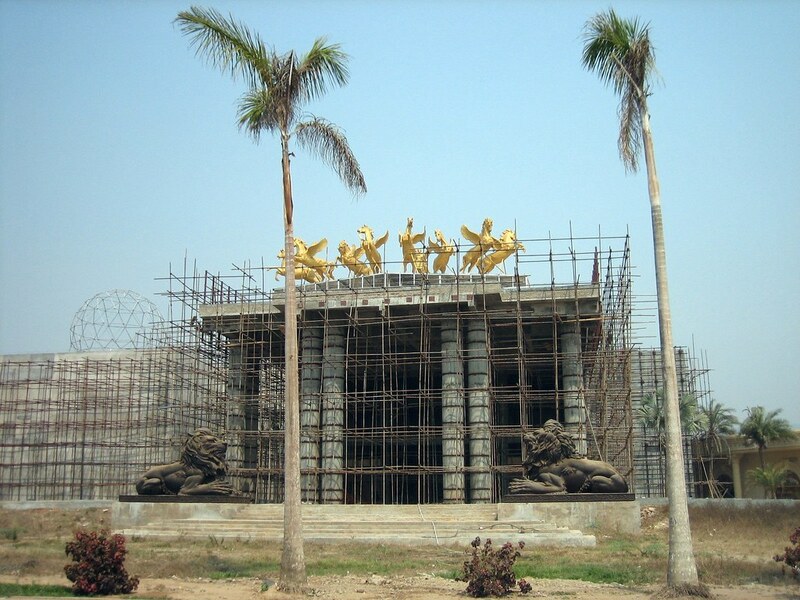 China also needs to act, given that the special economic zone is run by a Chinese company, visited by Chinese tourists, and made to resemble China as much as possible. 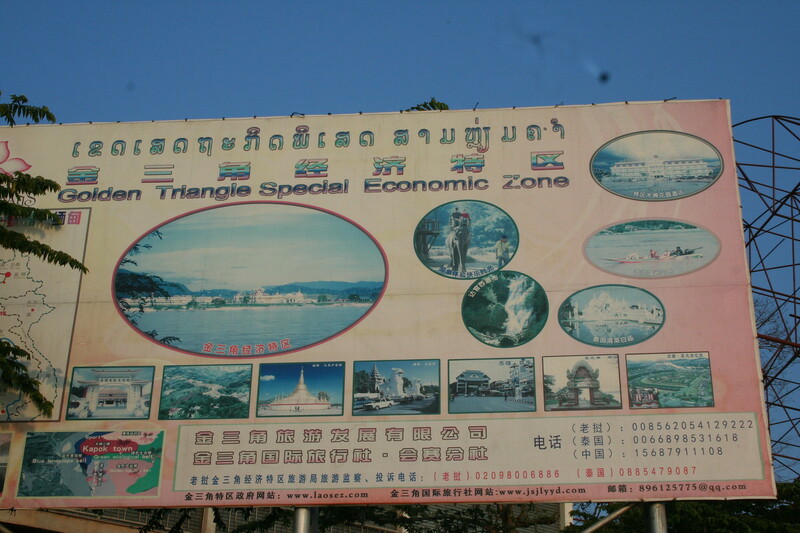 And the Golden Triangle Special Economic Zone is not an aberration. 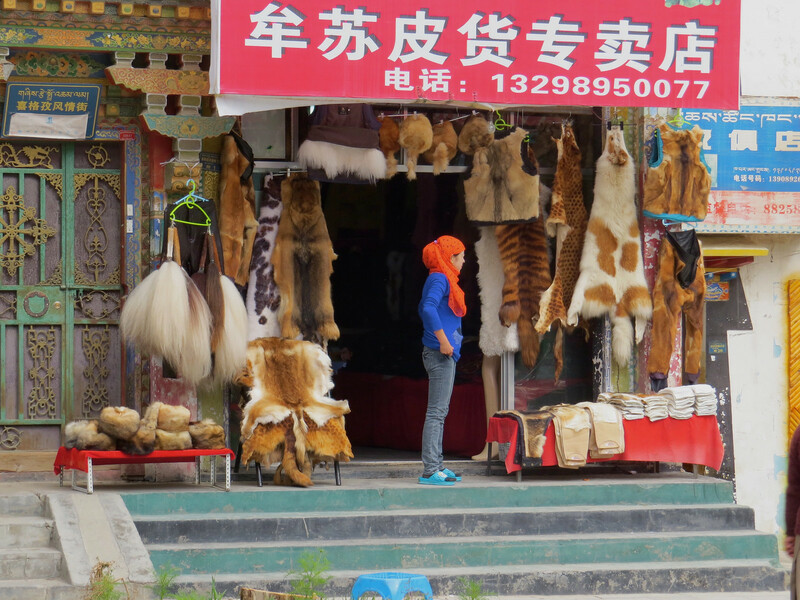 There are also a number of other border towns with similar wildlife markets, also seemingly meant for wealthy Chinese tourists. 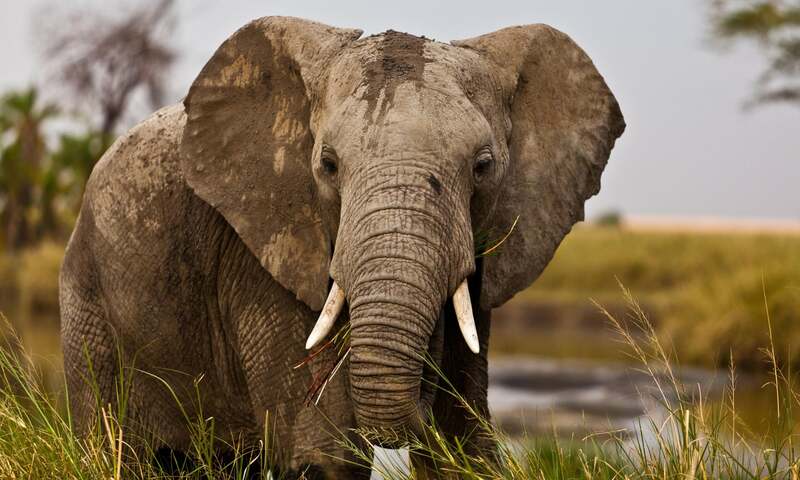 The profile of illegal wildlife trafficking has risen in the media and international politics in recent years, especially given the worsening poaching crisis of elephants and rhinos in Africa. 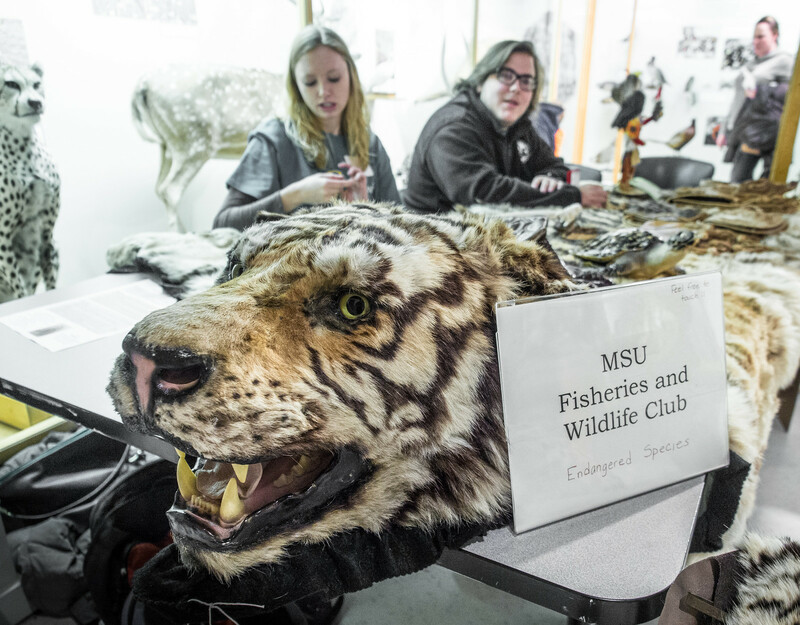 The US government has issued new regulations on wildlife crime and launched new partnerships to combat the epidemic abroad, including funding. In the UK, Prince William has been passionately vocal on the subject, and last year, London hosted the first ever high-level meeting on wildlife trafficking. Finally, Interpol, the world’s police organisation, has launched an initiative to combat wildlife crime. But even if governments step up the fight against wildlife trafficking, there is still the problem of seemingly insatiable demand in the region. 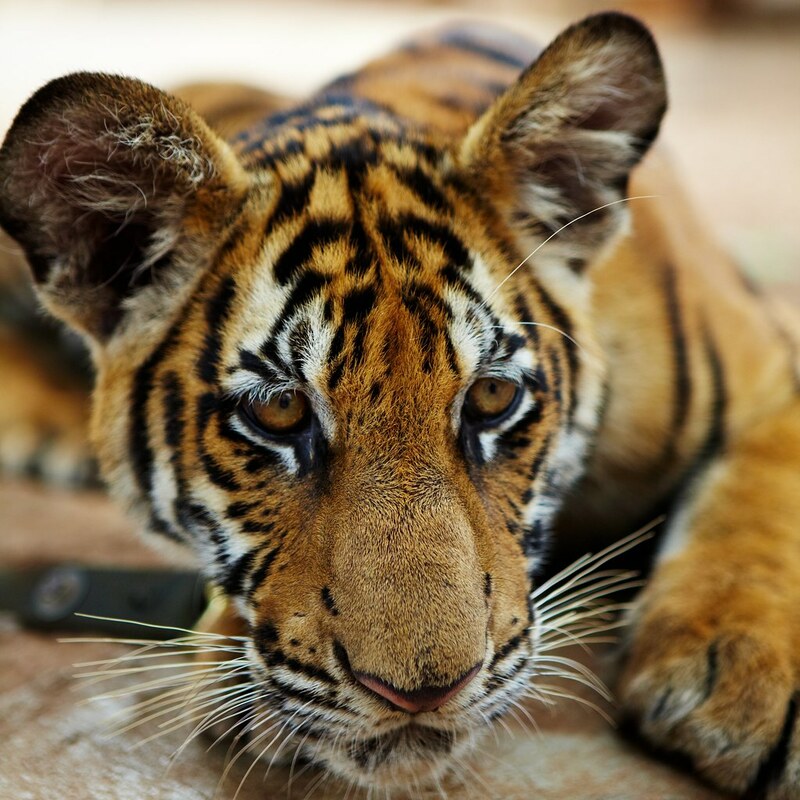 A demand so great that today China has more tigers in captive farms -– bred solely for killing -– than there are wild tigers on the planet: around 5,000 versus 3,200. 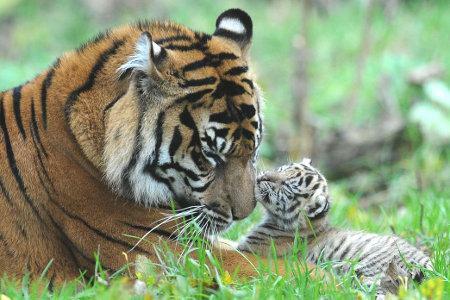 “Promises to end illegal tiger trade are empty unless the law and policy in China is changed to end domestic trade in all tiger parts and products, and destroy stockpiles of tiger parts, including captive bred tiger parts,” said Banks, who argues that this trade is only fuelling poaching of wild tigers and other big cats as substitutes. 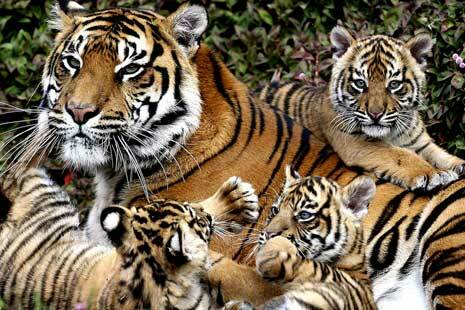 But it’s hardly just tigers. Experts estimate that somewhere between 22,000-35,000 elephants were slaughtered annually for their tusks in Africa in the last few years. Also, four of the world’s six rhino species are on the precipice of extinction, pushed, in part, by current or historic demand for their horn. 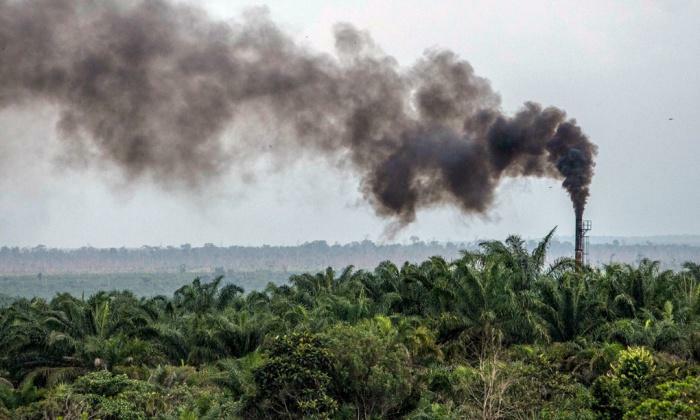 Indeed, ecosystems in Asia are literally being emptied of turtles, snakes, frogs, mammals, and even birds to feed demand for luxury foods, traditional medicine, and the newest pet craze, creating what’s been dubbed “empty forests” syndrome. 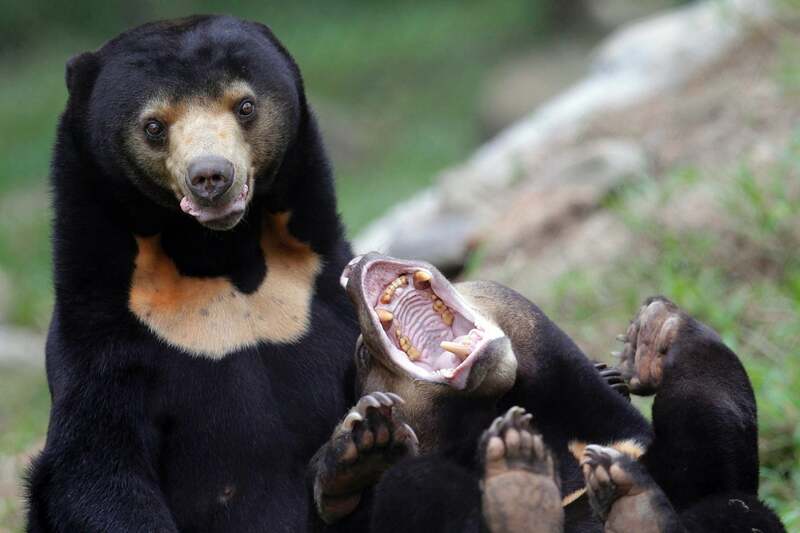 While poor people certainly do consume forest animals too -– especially in forest-dependent communities -– many of those in Asia’s black markets are actually going to rising middle and upper classes, i.e. those who can afford such seeming luxury. 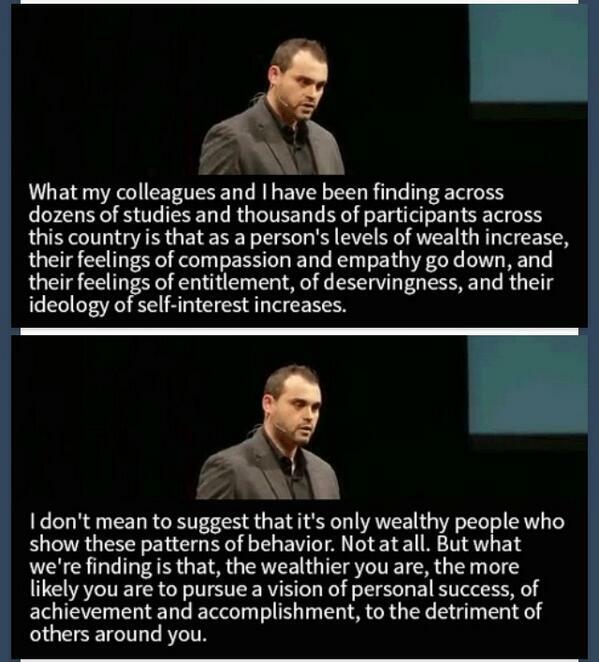 “What we’ve been finding across dozens of studies and thousands of participants across [the US] is that as a person’s levels of wealth increase, their feelings of compassion and empathy go down, and their feelings of entitlement, of deservingness, and their ideology of self-interest increases,” said Piff in a 2013 TED Talk. “In surveys, we found that it’s actually wealthier individuals who are more likely to moralise greed being good, and that the pursuit of self-interest is favourable and moral." Piff has not studied whether wealth decreases compassion for non-humans, though it’s not a big stretch to assume it would. On the bright side, Piff has also found that change is possible and such behaviours are never fixed. “In fact, we’ve been finding in our own laboratory research that small psychological interventions, small changes to people’s values, small nudges in certain directions, can restore levels of egalitarianism and empathy,” he said. A number of campaigns are now targeting people across East Asia with those psychological nudges through advertisements and celebrities. 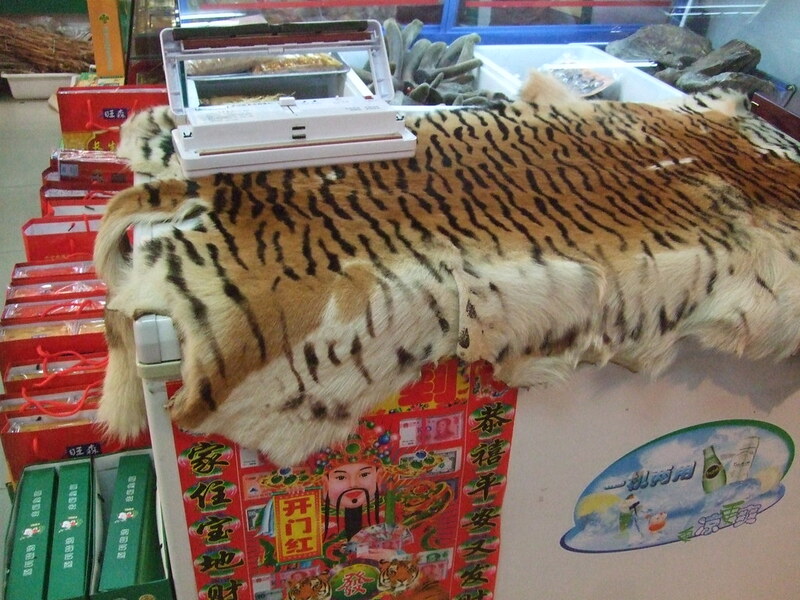 They hope to undercut the social prestige of displaying a tiger skin or eating bear paw or ordering pangolin soup. 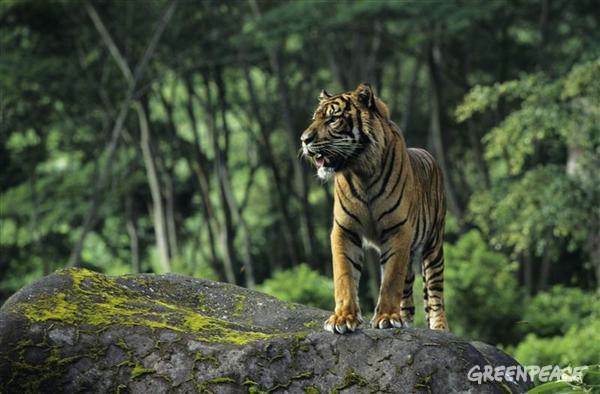 While social change is usually not rapid, it must come fast if it’s to be in time to save Asia’s vanishing natural heritage. 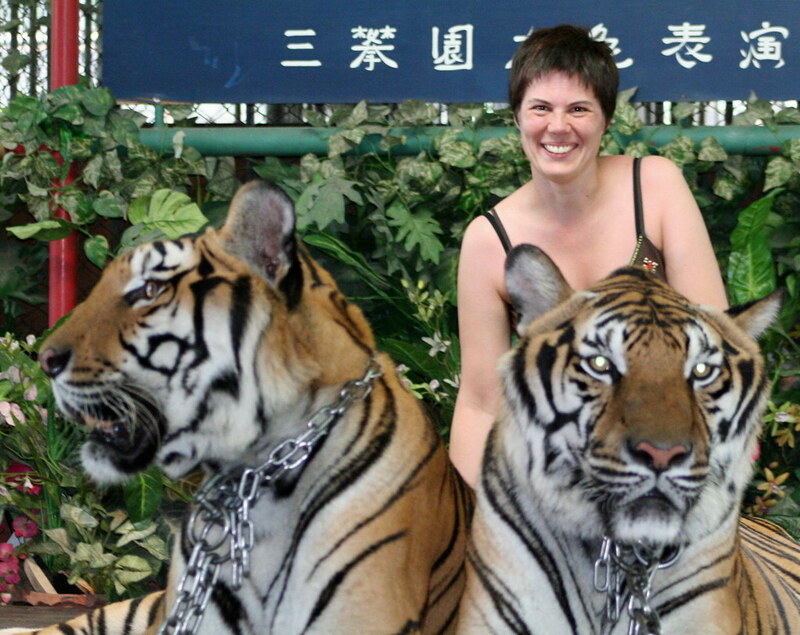 The tigers and me. 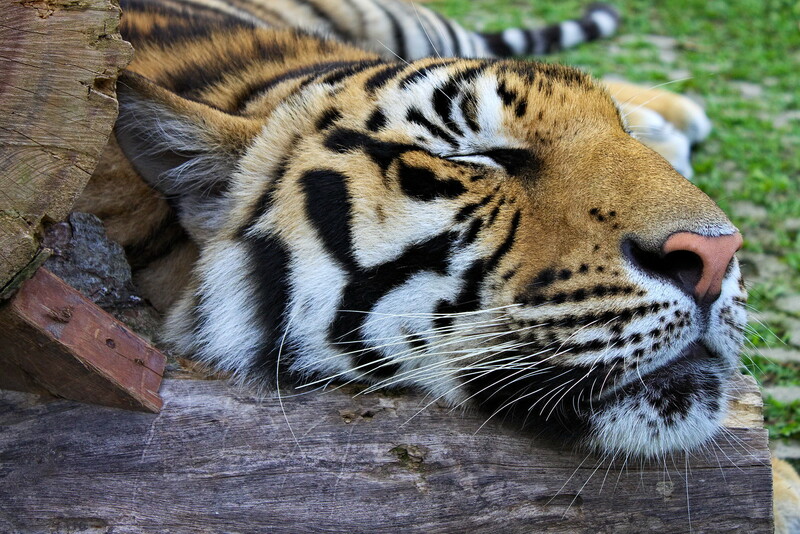 At a zoo of sorts in Thailand -- it was billed as a Crocodile Farm, but there were two gorgeous tigers and some elephants that made the crocodiles seem boring: photo by Roberta Taylor, 9 May 2008. IV...Is there a future for Handsome Petir and his kind? ‘Insatiable’ says it all. It defines a planet wide culture driven mindlessly to “eat” everything, even itself. No, not even a culture—a terrifying appetite, a maw. 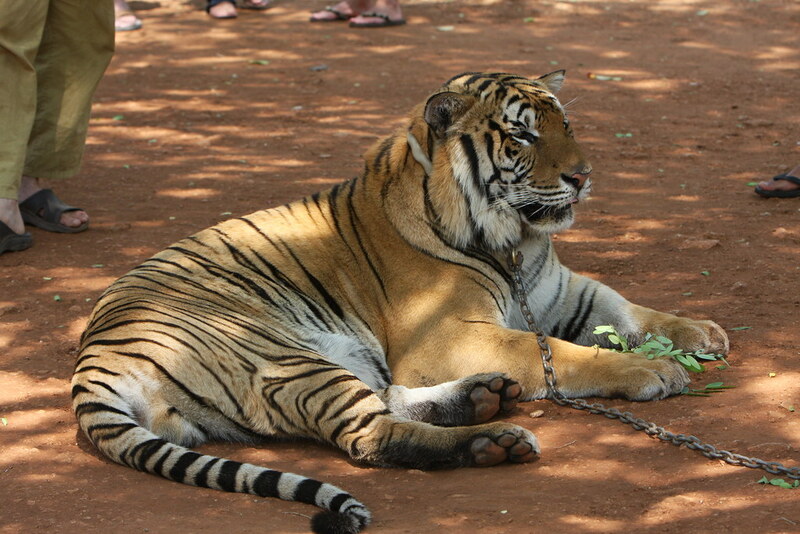 Tom, the now so-called prime minister of the so-called land of the pure ran a campaign and took a chained white tiger with him everywhere. The tiger died because of the heat and exhaustion (and no doubt the savage jeering of the crowds must have played a role). It was then that I convinced my daughter that such a person was evil. People should have stopped voting for him simply on those grounds alone. Was in Qatar for a few days (don't ask!) and your post reminded me of their attitudes. 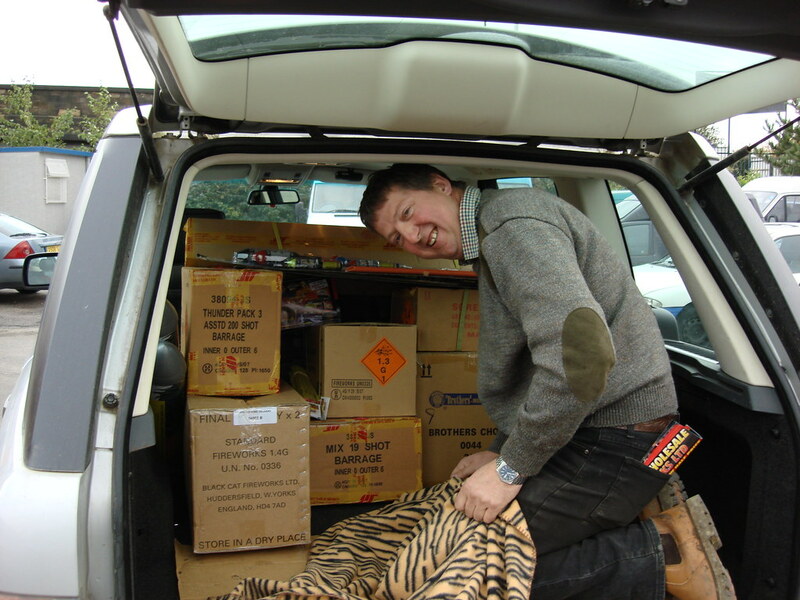 The latest fad was to defang leopards and keep them in their land cruisers as a living stuffed toy. Horrific. Which is not too surprising, really, given the way the 'brothers' treat Bangladeshi/Nepalese and Pakistani workers there. 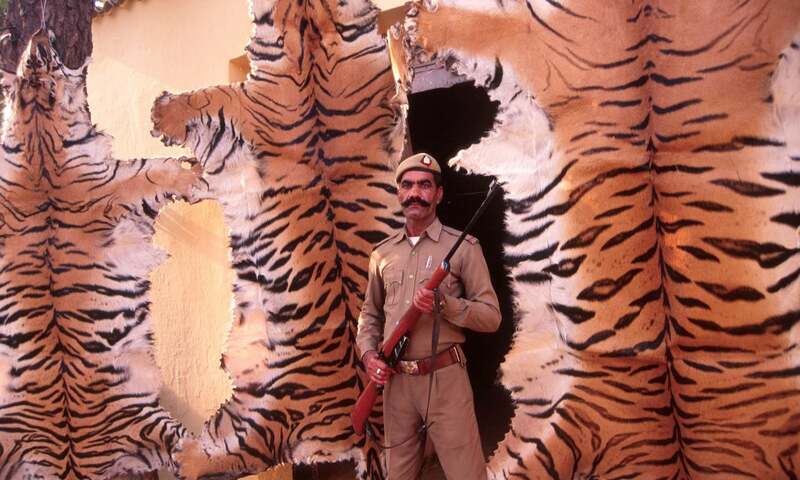 The fate of captive and chained tigers is perhaps only slightly less awful than that of tigers slaughtered for their "parts". 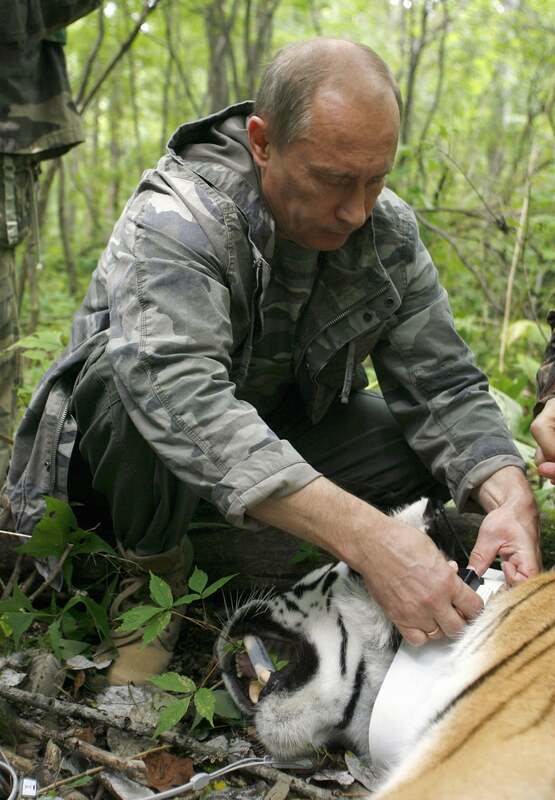 Putin's tiger, which he is here seen releasing back into the wild, was trackable by GPS... and wandered across the border into guess which animal-loving country whose name begins with a "C". "...a terrifying appetite, a maw." Frying pan into rice wine aquarium? 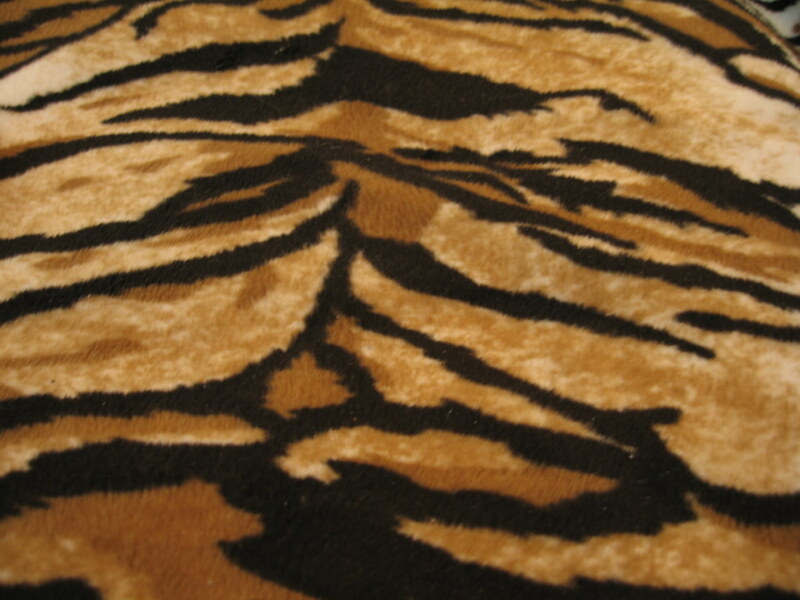 The fake animal-hide baseball cap sported by dude in Trafalgar Square is claimed by the intrepid urban wildlife photographer to be fabricated of tiger skin, though the actual simulation material is fake leopard skin. What's the ancient Chinese saying, they're all the same in the general endarkenment? "...the perception that appearance reflects upon the wearer, their state of mind, their perception of self and how they are choosing to present themselves to others... 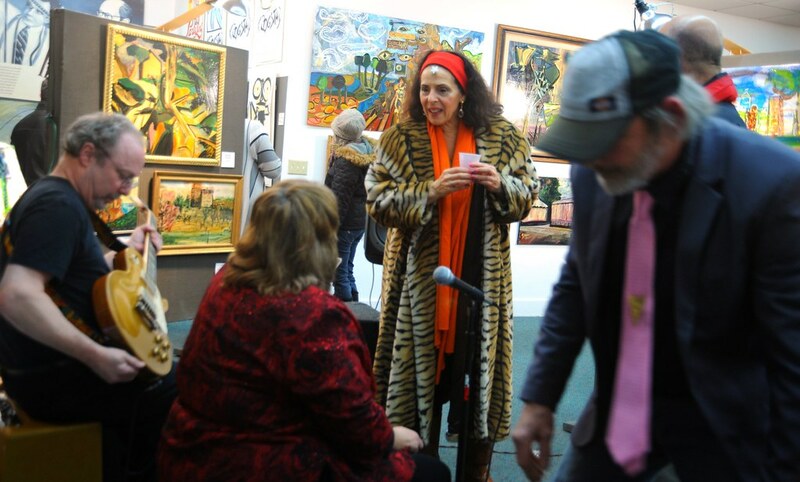 Wearing animal prints is... a kind of animism..."
Right, magical powers. Where there's an imitation of life, there's a simulation of hope. 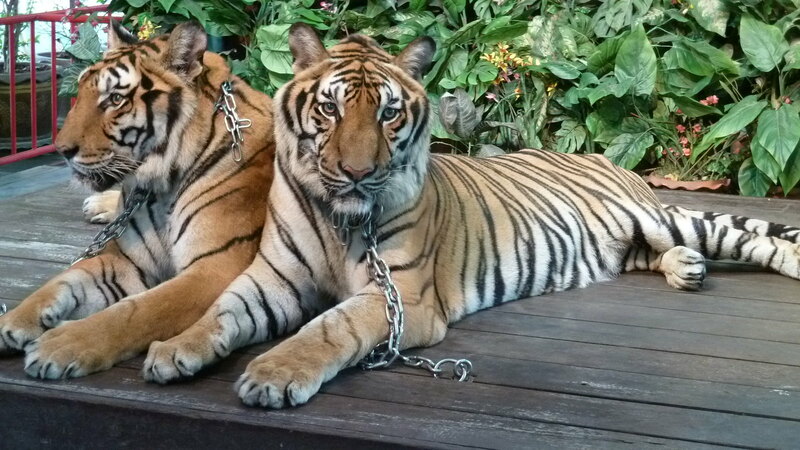 In Thailand, as seen here, doped-up chained tigers have pretty much the same use wooden Indians once had, generating business. For those totally enlightened Buddhist monasteries. Thailand, where the pariah Rohingya boat peoples fleeing Myanmar and Bangladesh are turned away at the coast, sentenced to death at sea. Of course, as members of a castoff Islamic minority where they come from, they take a chance on those boats, entrusting their pitiful "life savings" to people-smugglers only as a last resort, because starvation and worse in the detention/death camps is the alternative. The masses of wild animals and impoverished human animals, left out of the shining global corporate techno-economy of the future except as trafficked species. To testify to the truth of the world we have made, perhaps a new language of feeling will be required, an elegiac grammar whose words will be wept, not spoken.